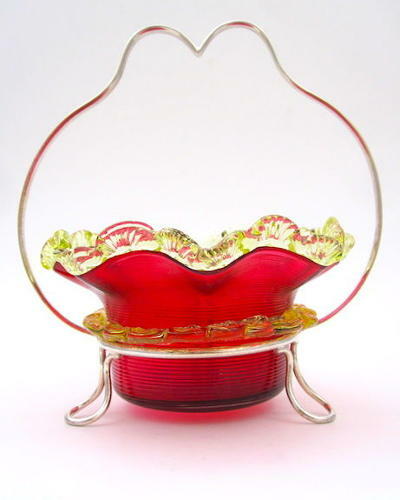 Antique Victorian Cranberry Glass Bonbon Dish with EPNS Silver-Plated Stand. The Cranberry Glass Dish with Tooled Rim and Applied Spiral Trail. Very Good Colour and in Excellent Condition. A Pretty Example of Hand Made Victorian Glass. Can be used for Jam or Jelly.